One of the more rewarding aspects of being a part of the fishing-industrial complex is sharing experiences and information face-to-face with fellow flyfishers. Having spent years in the corporate/office gulag, I am quite familiar with the concept of “death by PowerPoint.” Rest assured, that’s not how I roll. I love speaking in front of a group, and my presentations are highly interactive. For references and testimonials, please see the comments section below. To book an appearance, email me at swculton at yahoo.com, or call 860-918-0228. Anyone can catch aggressive, willing-to-chase striped bass. But what about the stripers that are holding on station, feeding on a specific bait? What about the larger bass — those that are measured in pounds instead of inches — that are not willing to chase a stripped fly? Many of the answers can be found within traditional trout and salmon tactics. “Trout Fishing For Striped Bass” reveals that stripers behave very much like trout. By taking a more analytic approach to striper fishing, matching flies to bait, and harnessing the power of the floating line, anglers can present flies like the naturals the stripers are feeding on — and begin to catch the striped bass that everyone can’t. If you liked the original, you’re going to love the sequel. “The Little Things” (see below) is one of my most popular programs. It’s easy to understand why – we’re all looking for an edge when it comes to catching more fish. It is my firm belief that the little things are largely responsible for the fabled 10% of the anglers who catch 90% of the fish. “The Little Things 2.0” builds on the theme of seemingly insignificant things you can do make your time on the water more productive. UPDATED SEPTEMBER 2017! Same basic content, but now with more video elements and animation. They say that 10% of the anglers catch 90% of the fish. If that’s true, it’s not because those 10% are supernaturally gifted angling demigods. It’s not because they are lucky. It’s because they do a lot of little things that other anglers don’t. As a guide, I have the opportunity to observe how people fish. I see their mistakes as well as their triumphs. When I’m fishing, I am constantly making adjustments and trying new approaches. That’s what The Little Things is all about – seemingly insignificant practices that can make a big difference in your fishing. UPDATED DECEMBER 2017! Same basic content, but now with more video elements and animation. Wet flies have been taking trout for centuries — and the fish aren’t getting any smarter. More and more anglers are discovering that a wet fly is often the best way to match a hatch. 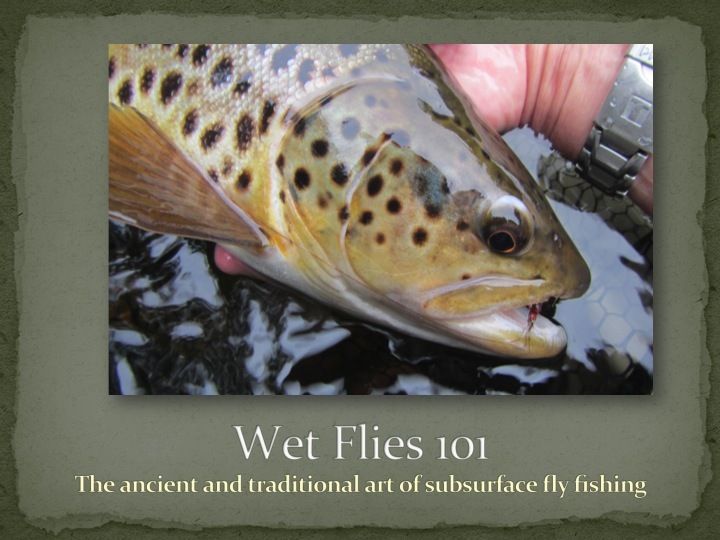 Explore the wonders of the wet fly as we cover basics like wet fly types, leader construction, where to fish wet flies, and how to fish them. 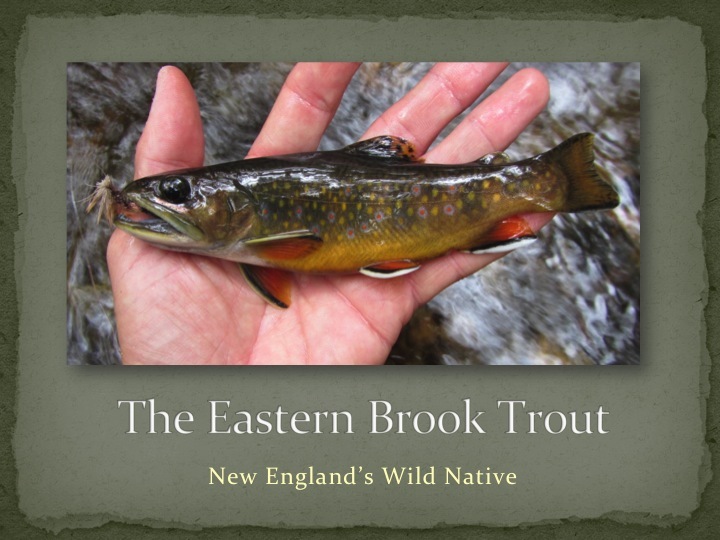 The only trout that is native to most of the eastern U.S., the brook trout (technically a char) has inspired generations of anglers with its stunning colors, aggressive nature, and often lovely habitat. We’ll cover the basics of small stream wild brookie fishing, from tackle to presentations to where to look for these precious jewels. Updated in Spring 2015 with new video, photos, and content. 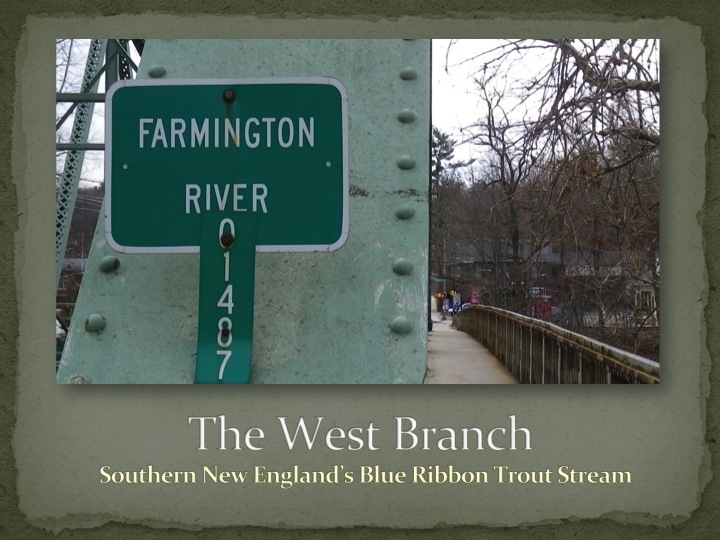 We are truly fortunate to have one of the finest trout streams in the northeast here in Connecticut. There’s something for everyone on the Farmington: classic dry fly pools. Mysterious pockets for nymphing. Spirited runs to swing wets and streamers. 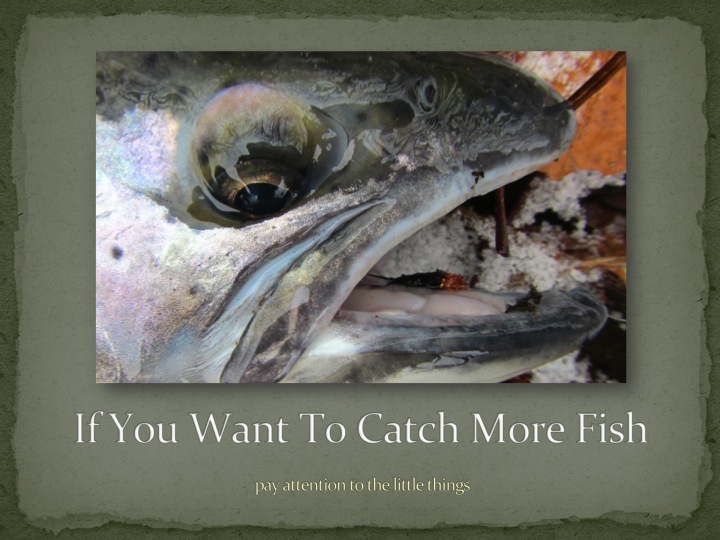 A classic tailwater, the Farmington fishes well year round, and offers anglers an opportunity to catch stocked as well as holdover and stream-born wild trout.